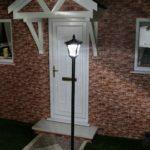 Brighten up your driveway, garden, paths or patio with a garden lamp post, this will give your home a warm and friendly look. When you’re spending those summer evenings in the garden enjoying a delicious BBQ grill, don’t forget you’ll need some lighting so you can see what you’re cooking. As we know, despite it being summer, in the UK the evenings can get a bit chilly, so don’t forget an outdoor patio heater will provide you with warmth and it can even be used as a lamp as well. 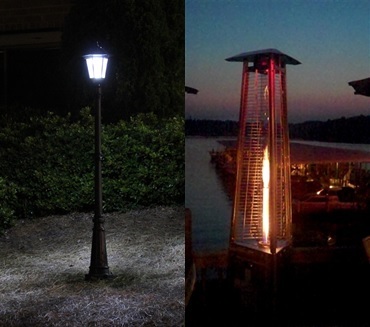 If you only want lighting for when you’re spending time in the garden during summer then a patio heater can be a good alternative, although the light is not as bright as a lamp post. 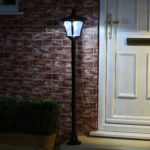 With the home ownership rate decreasing it might not be practical buying items like a garden lamp post as this is more of a permanent fixture that has to be screwed to the ground. So if this is the case and you need something more portable, then a tabletop patio heater could be a good option. For anyone who has a garden or driveway and you want to make it look more elegant then great! 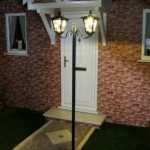 To ensure you choose the best garden lamp post, we’ll go through the features applicable below so you know what to look out for. 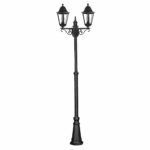 Height – The height shown is the maximum height it can be assembled at, however with some models if you want to shorten the height then you can simply remove one of the poles used to assemble the lamp post. Power supply – Either powered by mains or solar powered, you can read about the pros and cons of each one here. Material – Materials such as aluminium doesn’t rust so it’ll last longer, but it’ll usually cost more money. Screw supplied – In order to secure the garden lamp posts it needs to be bolted down with screws, some models do not supply the screws required. 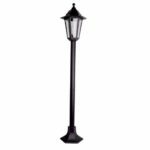 Bulb included – Usually the non-solar lamp post won’t supply you with a bulb so this is another cost to take into account. Light bulbs are usually very cheap though, and most people like to use their own bulb anyway. Maximum watts – The maximum bulb wattage the lamp can support. Can use your choice of bulb and it can be changed as well. You will need to do the wiring yourself or hire someone to do for it for you. Has to be placed closer to the power source. Does not require any wiring. Can be placed anywhere where it gets exposure to sunlight as it produces its own electricity. Already comes with a LED bulb. Bulb can’t be changed but should last a few years.